It seems to me that almost every debate devolves into absurdity when Hitler is brought into it. But I really feel compelled to make this point in spite of the devolution of the argument. If you ask them doctrinally, Christians almost universally agree that Jews are going to Hell when they die. Although Christians are very supportive of Jews as God’s chosen people and Israel as a nation, they think Jews who don’t accept Jesus as the Messiah are Hell-bound. So what happens if we assume that the Christians are right in their beliefs? 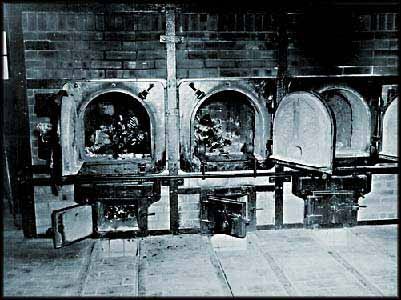 Any Jews who were forced into Hitler’s ovens to be killed would immediately upon death find themselves in God’s oven (Hell). But whereas they could escape Hitler’s oven by dying, there is no escape from God’s oven. So the logical implication is clear. Which is worse? Hitler’s oven or God’s? And is either one justice or an atrocity?